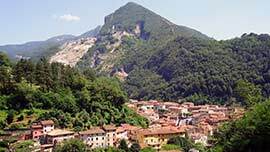 Montignoso stretches along 16.67 km between the sea and the Apuan Alps and is called the southern Lunigiana's "Last land". The Aginulfi castle, situated on the hill not far from the town centre, is considered the first historical unit of Montignoso. Moreover it was a very important strategical spot during the Byzantine age. In the pastime the economy was mostly based on the excavation of marble stones and on agriculture with such products as: grapes, olives, cereals, forages, hemp and flax. The activities concearning agriculture have became marginal by now, while the excavation and the treating of stones have gone along with manifacture of building-materials, with the metal and mechanics working and a very dynamic building industry. 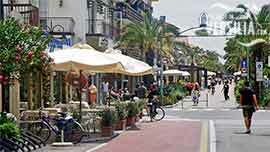 More than the 60% of the working population gets its income from the services sector representing a strong business part connected to the tourist development of the Cinquale's coast area. 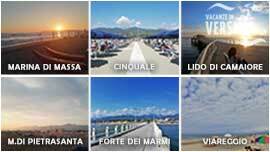 The Cinquale, is a famous bathing station situated to the border with the Massa and Forte dei Marmi, where are long beaches equipped with modern establishments and hotel structures for every tourist question. 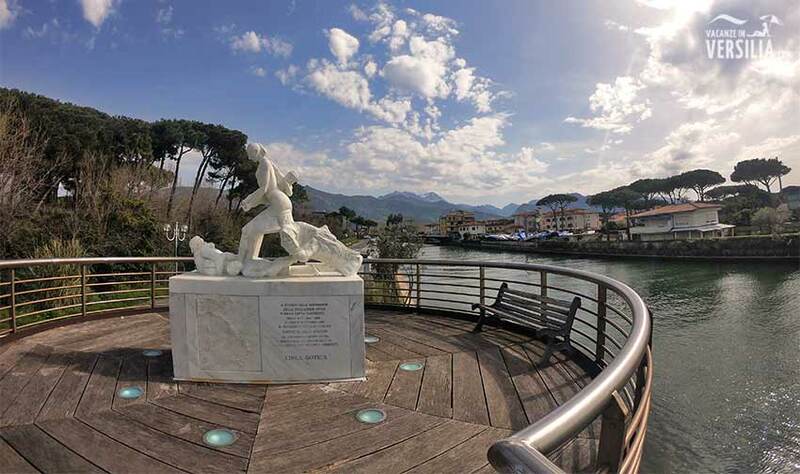 The Cinquale offers interesting possibilities of relax, an touristic port for small boats recently restructured and the thermal baths of the versilia. 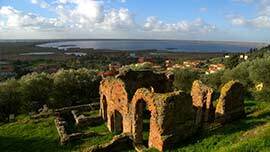 In Cinquale (Massa) is a well equipped airport allowing tourist flights and giving the opportunity to attend a school where to learn how to. In the summer, the greatest attractions and the more amusing games wait for you every day at the luna park of Cinquale. You will enjoy yourself with tens of spectacular attractions.